The new Bond 25 director has been announced and, far be it for me to go OTT with praise, but this is probably the perfect choice to replace the outgoing Danny Boyle. Seriously. Step forward Cary Fukunaga. Never heard of him? You’ve probably seen his work: True Detective season 1 was a masterpiece thanks to his tireless work behind the camera, and he also directed the critically-acclaimed Netflix war drama, Beasts of No Nation and the upcoming Netflix Original Maniac starring Emma Stone and Jonah Hill. Excited now? Thought so. And hey – there’s even a brand-new release date to look forward to. 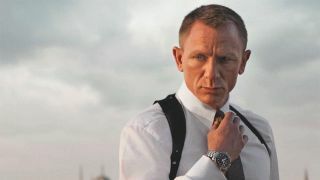 The news was announced via the James Bond Twitter account, as well as a March 4 start time for filming. In a statement about the new Bond 25 director, producers Barbara Broccoli and Michael G. Wilson said: “We are delighted to be working with Cary. His versatility and innovation make him an excellent choice for our next James Bond adventure." With good reason, too. True Detective season 1 is one of the finest shows of recent years, with each shot a work of art. Fukunaga left the show after directing every single episode of that first season – including the iconic tracking shot that followed Matthew McConaughey in episode 4 – and we all know what happened to the show after that. But what about that new release date? Sorry, lovebirds - you better cancel your Valentine’s Day plans now. Presumably due to having to find a new director, Bond 25 has lost its 2019 release date (it was originally slated for October 25 in the UK and November 8 in the US) and has now been pushed back to February 14, 2020. You’d best start apologising and buying half a florists’ worth of flowers in advance for your better half, because you don’t want to miss Daniel Craig’s final Bond film.